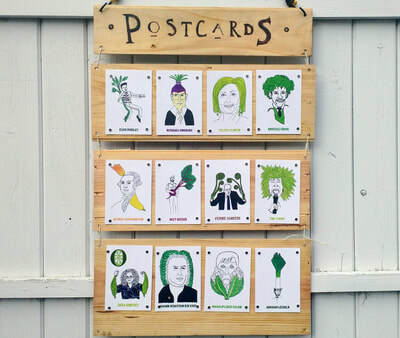 One result of spending long days out in the field growing vegetables is a brain full of vegetable puns. 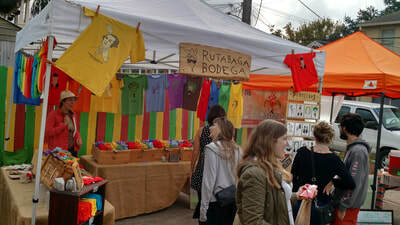 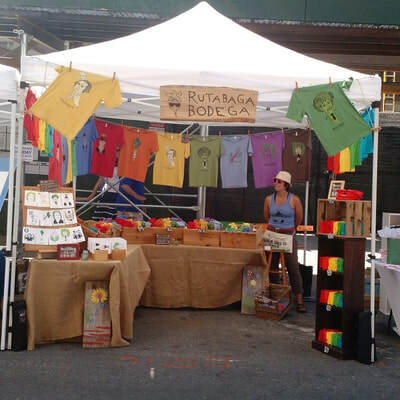 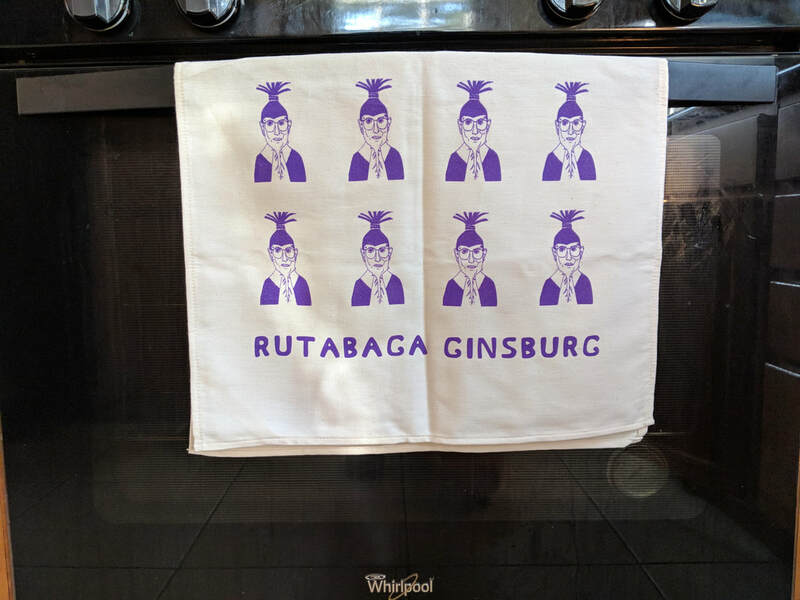 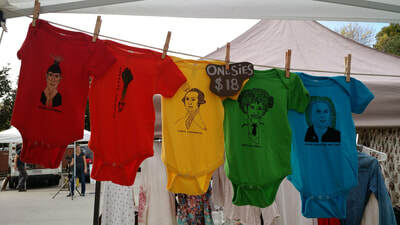 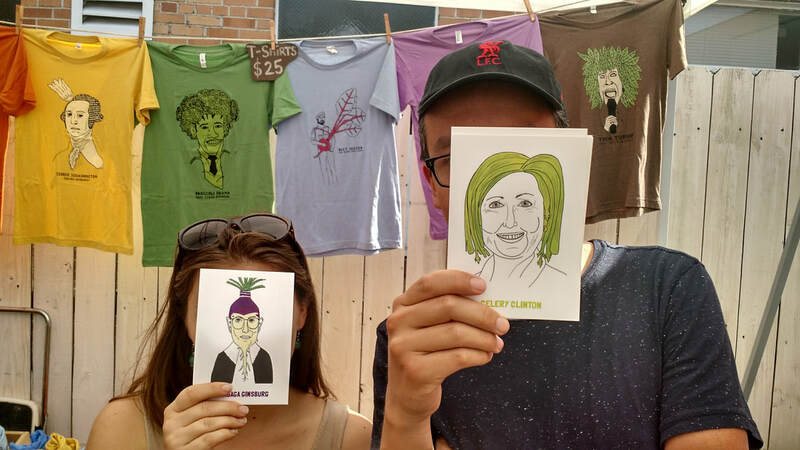 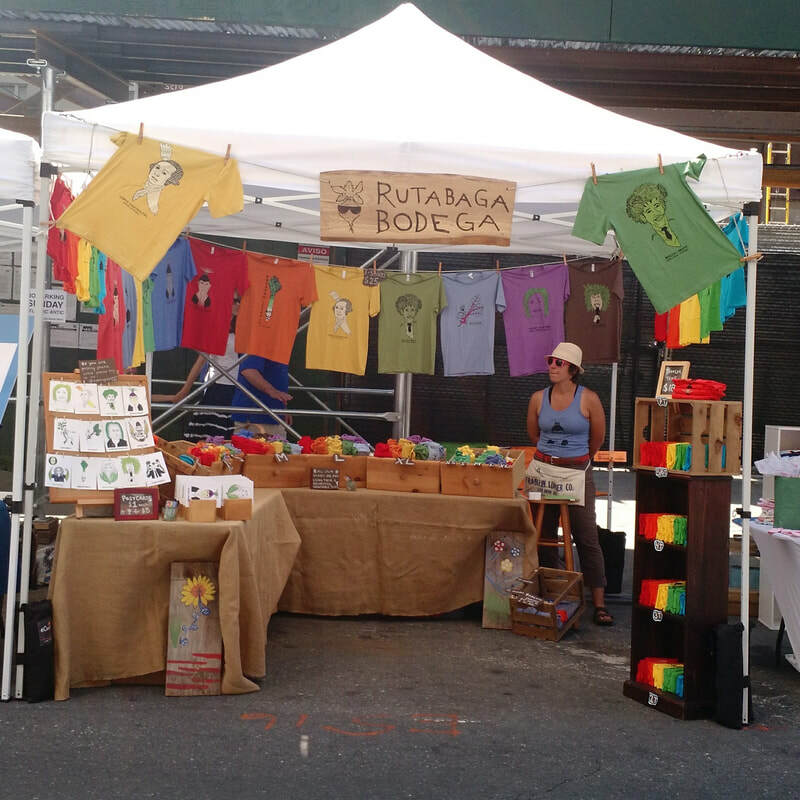 What started a few years ago as a feature for our (former) farm's hand-drawn weekly CSA News Zine has now morphed into Rutabaga Bodega, a farm-inspired Etsy shop and market booth selling vegetable celebrity pun T-shirts, onesies, tea towels, and cards. 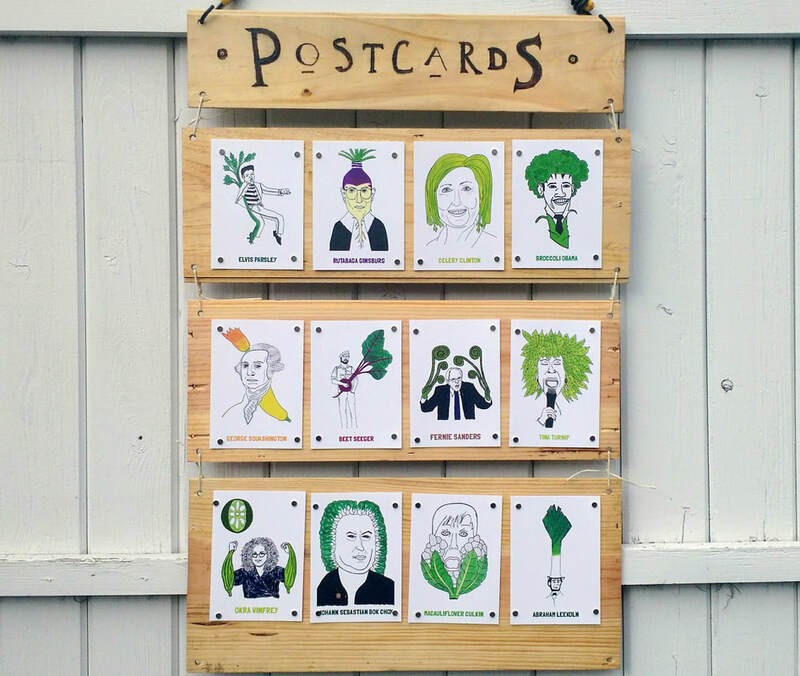 With characters like Rutabaga Ginsburg, Broccoli Obama, and Alexander Yamilton, we've got something for everyone with a passion for produce, a propensity for puns, and a preference for progress. Keep up with us on Instagram to find out what markets we'll be selling at in person, or visit our Etsy shop to check out what we have in store.